With all the tools available to companies, it's no wonder why competition is so stiff. 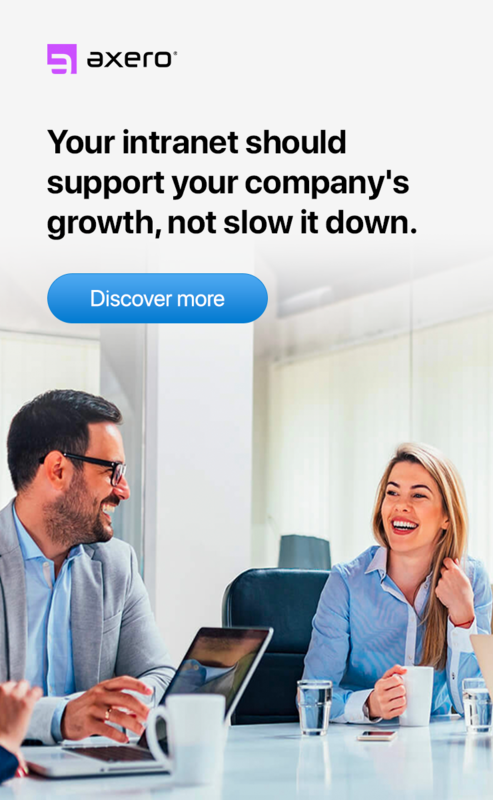 It's easy to make the right moves to get ahead, yet the playing field is as level as ever ... because the best companies are combining a number tools to reach their goals. One of the most useful tools being social intranet software. There are many ways companies create and use intranets ... and they all involve people working together. A true intranet solution improves communication with collaboration tools. This then helps with newer and better intranet ideas and solutions. 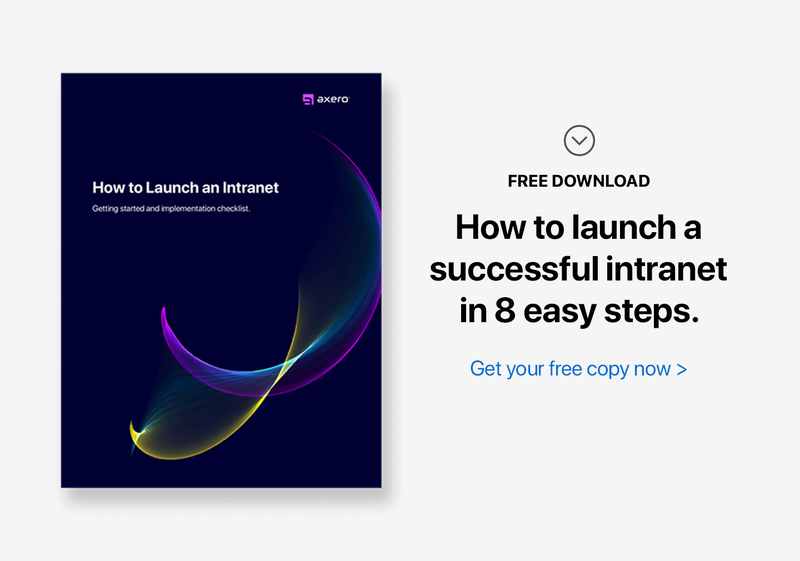 No matter how well-tuned you think your intranet is, you can always improve it. No intranet can claim perfection ... so progressing towards a more effective network will only benefit your organization. 1. Make files and documents accessible in your company intranet. No matter your type of business, your team will need to access important files and documents. Your intranet document management system can range from templates to employee guidelines and everything in-between. Make them accessible by putting them in an area that won't get overlooked. You'll also want to tag and rate content so it can be found through a search. 2. Brand your company intranet. Give it a name. Give your company intranet solution its own personality by branding it. Give it a unique name ... this adds character. Naming your intranet gives it an identity that draws people in and promotes adoption. The name will influence the way the intranet is perceived and used within the organization. Beyond its humanizing effects, naming helps distinguish the system from other systems and makes it easier to reference. 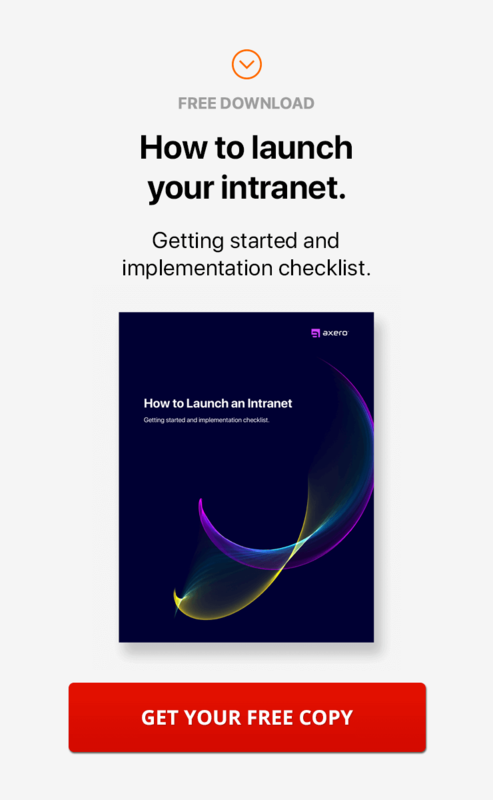 Without it, employees could refer to it as "the intranet", but also as "the network", "the portal", or perhaps the name of the technology provider, like Communifire. An intranet name provides a common vocabulary. 3. Broadcast company and individual accomplishments. Your intranet is the perfect platform for broadcasting your company's wins. Did someone win an award? Did someone get a promotion? Posting success stories is a great way to motivate employees ... and it makes each day more worthwhile. It also gives people a change to reach out to others to share in their success with a congratulations. 4. Experiment with your company intranet. 5. Develop a content creation schedule on your company intranet. The best way to approach content marketing is by sticking to a consistent schedule. Put a schedule in place, and make sure everyone in the content creation process follows it. 6. Give employees the tools they need. Well-designed social intranet software combines many tools that help merge processes ... including communication, sales, marketing, content creation, and more. If employees have access to these tools in your digital workplace, they have a good chance of meeting your expectations. 7. Change your color scheme. Brand identity and consistency are important to your business ... and the color scheme of your company intranet is no exception. At the same time, switching things up (color options) won't hurt. This will keep people interested. There are countless reasons and opportunities to try a new color scheme for your digital workplace. For instance, seasonal color changes can lift peoples' spirits ... and also breathe new life into your intranet. Get creative, and take suggestions from your staff about what they'd like to see. 8. List community events on your company intranet. Most people only use their intranet calendars for scheduling meetings and internal events ... but this just scratches the surface. If every team member lives in the same area, create a calendar devoted to events happening around you. This could be sporting events, food/wine, and anything else. People can RSVP, and in the end, you're left with a great team-building exercise. 9. Use images to support text. Text is effective and necessary in all aspects of your company intranet, but too much of it can cause fatigue. To break things up a bit, consider posting images. Images not only break the flow of text, but they also add visual context to your subject matter. The web is a treasure trove of images, so use this to your advantage. 10. Keep things clean and easy to use. Have you ever experienced what it's like to navigate a jumbled intranet? If you haven't, then believe me, you don't want this for your organization. Providing your employees with a clean, sleek social intranet navigation solution is essential. It's as easy as using white space, smooth lines, and plenty of strong boundaries. If your company intranet is easy on the eyes, everyone will love it. 11. Use contests and gamification on your company intranet. Getting people to try new intranet ideas can be difficult, especially if they're busy. Give your staff incentive to take part in conversations and create great content. Hold an intranet contest and offer prizes and rewards. For example, the most active user for this week gets a $20 gift card. There are many options here, so get your people communicating and collaborating. 12. Introduce themed days of the week on your company intranet. “Throwback Thursday” has completely infiltrated major social media platforms. Even though many people have passed this stage in social media, #TBT is a great way themed days can add fun to the week. You can take this same concept and apply it to your intranet solution ... “Photo Friday” is an option that comes to mind. When one or more days of the week has its own theme, you'll be adding some spice to your intranet solution. Inspiration can motivate employees and keep them on track. And there are plenty of ways to develop an inspiring social community. One great way to kick-start things is to post inspiring employee engagement quotes in your digital workplace. This can help get the wheels turning and give your employees a moment to think. Try to post at least one quote per day or week, but don't overdo it! 14. Post job openings and hire from within. Hiring from within comes with many benefits. If you're creating new jobs, try using your intranet as an internal job board. You can post jobs, conduct interviews, and more ... all without having to leave the digital workplace. This can save a great deal of time, money, and energy on the part of managerial staff. 15. Tag all content in your company intranet. When you tag your intranet content, searching for it becomes less stressful. Apply tags such as “marketing”, “internal documentation”, and other common phrases to your content. This is an effective way to manage intranet content. It will save you a lot of time recalling past information. 16. Empower early intranet adopters. Early adopters are people who hold more interest in and see the value of their new company intranet. These people can help take your intranet to new heights. Identify them, and make them community leaders. In the end, they can provide even more valuable intranet ideas to create a better company culture. 17. Create a Q&A forum on your company intranet. 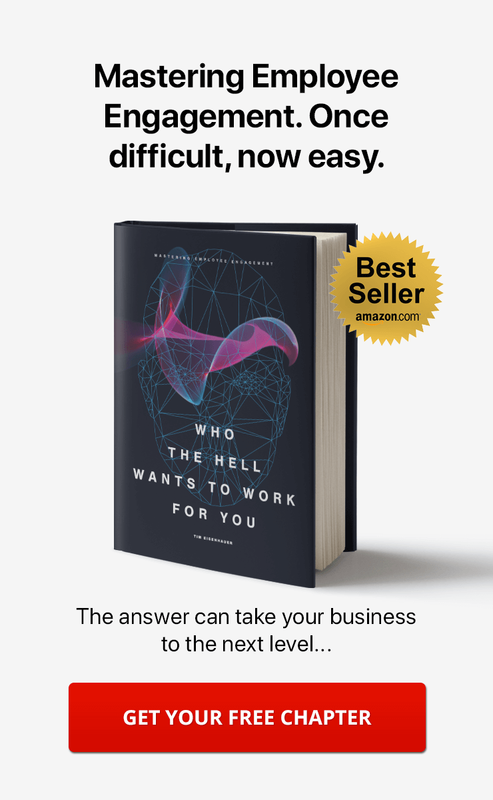 When employees are taking on new projects and tasks, they're going to have questions. This is especially true when learning how to use company intranet, which is why you should add a Q&A forum. This is an excellent team-building exercise. It's also a good way to keep confusion at bay. But it's essential that managers check-in and answer the questions. You can create more intranet discussion forums as well, like one for employees to discuss new intranet ideas they may have. 18. Ask employees for feedback on your company intranet. Employees want to offer feedback about the intranet ... things they enjoy and things they don't. By getting feedback, you can steer the direction of your intranet ... and also come up with new intranet ideas for the future. Reaching out is an act of good will that will shed a positive light on your managerial abilities. 19. Use humor. Be a human. Communicate like a human. The workweek can be stressful at times, especially when deadlines are creeping up. Sometimes, it's good to inject a bit of humor into the situation ... to ease the tension. Your company intranet serves as the perfect platform. Post a funny video, comic, quote, etc. No matter what it is, humor will help keep your employees stress-free. 20. Get everyone to fill out their employee profiles on your company intranet. Employee profiles offer a glimpse into the lives of colleagues. They're a great way for people to get to know each other better ... and foster increased collaboration. Use profiles to highlight strengths. This means identifying experts is easier than ever. Getting people to fill-out their profiles can be tricky, but a little persuasion can go a long way. 21. Provide training and tutorials on your company intranet. Video is one of the most effective forms of media for helping people learn just about anything. It's also useful when applied to training new employees. Relieve the time and stress of onboarding with great training materials, such as videos in your digital workplace. Be sure to organize everything, so you can go as in-depth with your training videos as you feel is necessary. 22. Upload documentation and handbooks. When you add an intranet solution to your company, you'll have a lot of documentation to go with it ... often in the form of paper documents. You can get rid of this excess paper by uploading these documents to your digital workplace. Individuals can then search for information without having to leave the intranet. Scanning and uploading documents can take time, but it's well worth it. 23. Encourage users to create content on your company intranet. You can use today's intranet platforms for content creation. This makes them far more robust and useful than those of the past. An intranet solution that features a WYSIWYG editor lets anyone create and publish content in the digital workplace. They don't need experience with coding. Always encourage users to create content if they feel they have something to share. 24. Segment your intranet into spaces, departments, or groups. If you have many departments (sales, marketing, etc.) working from your company intranet, keeping everything organized can be a tricky process. This is one of the main reasons why you'll want to segment your intranet with digital workspaces (or groups). This will ensure that it doesn't become difficult to navigate. Create individual spaces for each of your departments. This will ensure that no one gets the wrong, or irrelevant content. Segmentation only grows in importance as your organization grows in size. So get started early. 25. Set reasonable expectations for your company intranet. Every CEO and manager wants their employees to thrive within the company intranet. Making effective strides can take time ... and setting unreasonable expectations will result in failure. Try to articulate goals that won't be difficult to meet. This is a great way to move things along and feel as if you and your staff have accomplished something. Creating a better intranet solution requires a lot of trial and effort ... but it's not impossible. Use these suggested intranet ideas, or come up with your own. Then stay on top of what's happening in your digital workplace, create a plan of attack, and success is right around the corner.